The Republic of Florence introduced its own currency in 1252, the Gold Florin, gaining a significant role in the whole Europe. This led to the development of a successful goldsmithing that culminated during the Renaissance, when it was common for painters and sculptors to start their apprentices in jewelry workshops. 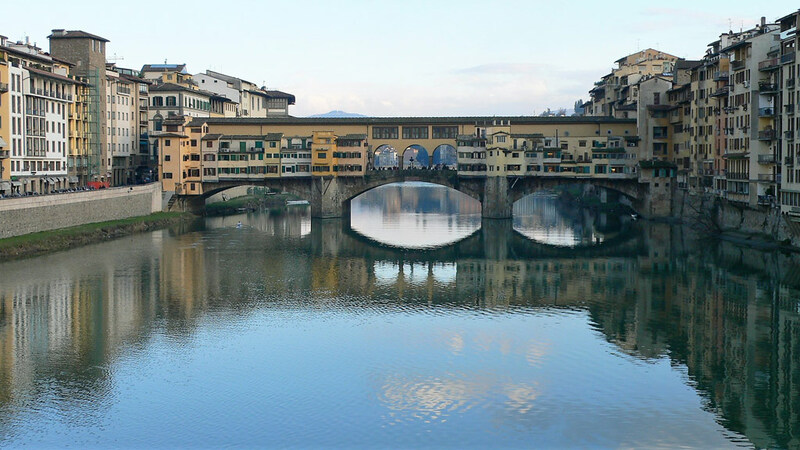 Still to day the art of goldsmithing is very dynamic in Florence, in particular on Ponte Vecchio. One of the first extraordinary example of the art of goldsmithing in Florence is the Treasure that was commissioned in 1366. 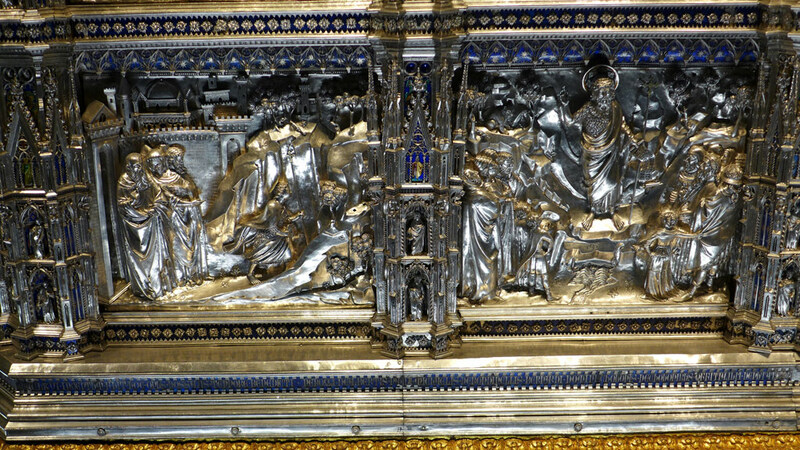 It was assigned to a range of participants and famous goldsmiths, such as Leonardo di ser Giovanni, Michele di Monte, Tommaso Ghiberti, Matteo di Giovanni, Bernardo Cennini, Antonio del Pollaiolo e Andrea del Verrocchio, worked on the creation of this masterpiece, that required more than 100 years of work. 400 kg of silver and 1050 enabled plates. Today, this unique goldsmithing example is preserved, inside a showcase, in the Treasury Room of the Opera Duomo Museum. Later on, during the 15th and 16th century, many of the sculptors, artists and architects of the Renaissance often had their initial training in goldsmith studios. Brunelleschi, Donatello, Ghiberti, Botticelli and Verocchio (Leonardo da Vinci’s master) are just a handful of the many who began as goldsmiths before creating the Renaissance’s greatest buildings and most memorable sculptures and paintings. 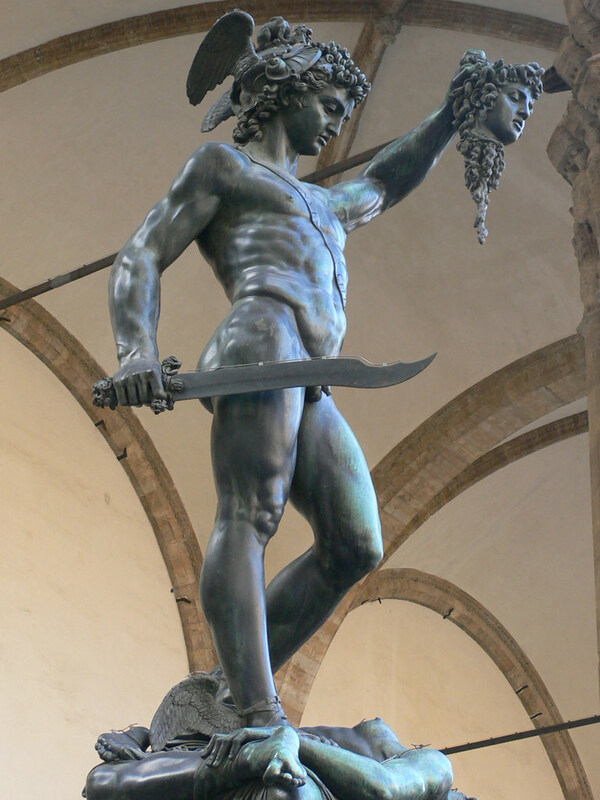 In 1565, Benvenuto Cellini, the sculptor of the “Perseus and the head of Medusa” on Piazza della Signoria, wrote his autobiography, in which he describes techniques, tools and materials used at that time, a book still used by many jewelry artisans today. At the end of the 16th century Under Gran Duke Francesco 1er, the goldsmithing workshops were opened in the Uffizzi, but it is in 1593 that his successor Ferdinando 1er ordered the Ponte Vecchio to be entirely devoted to gold shops and laboratories In the 19th century a little fountain with the bust of Benvenuto Cellini by the sculptor Raffaello Romanelli was placed on the terrace in the middle of the bridge. Still today, Italy, and Tuscany is one of the top designers and producers of fine gold jewelry in the world. Staying in Palazzo Larderel, you will be able to discover and admire the past and current talented artisan goldsmiths in Florence.